To place people and their joy in the building first. It may be difficult for any organization to discern priorities, strategies, and plans for expansion. Simons Architecture has extensive experience planning and presenting priorities for a client or building committee. Simons builds personal relationships first to best understand the present and future needs of the organization and its building. Using careful evaluation and years of experience, Simons can then help determine a course of action for expansion, remodel, or, in some cases, nothing at all for a period of time. By following proven, accountable planning techniques, Simons will create unique meetings, drawings, renderings, models, and presentations that perfectly communicate and illustrate who the organization is and how it will be transformed in a new space. Listening is the first step. With years of experience, Simons always approaches any design with careful listening to every goal and need of a building project. Simons has a desire to truly understand an individual, family, business or building committee, as well a gift to implement this understanding into good design. Good design is integrated with great responsibility in regards to finances for the project. Simons weaves functionality, aesthetics, and the budget evenly. 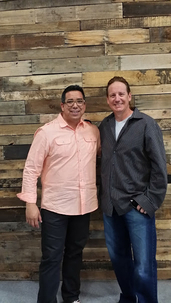 Simons has extensive experience working within any budget. Simons Architecture works with engineers, contractors, and other resources to take the initial design drawings and develop them into a more detailed set of drawings. These drawings are used to tighten the costs of the project, so that the client or building committee will know where their budget stands. Simons Architecture works with experienced and cost effective engineers to provide the best services with fees under many competitors. With proven expertise, these engineers ensure that the project will perform to the highest specifications, while meeting a determined budget. 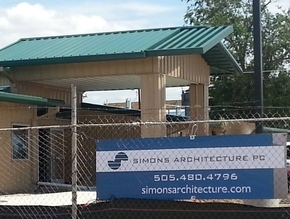 Simons Architecture’s proven experience with the permit offices of New Mexico and Kansas ensures that the final construction documents comply with all local and state codes and ordinances. Simons’ style of communication with governing officials is always with humility and integrity to develop the client’s relationship for smoother transitions during the construction process. Simons Architecture has years of proven experience to implement various methods of construction to maintain the client's relationship with their lending institution. With this experience, Simons offers Project Management and Construction Observation Services to assist in the protection of project resources. Simons Architecture prepares a schedule of values based on the contract for construction to assist the owner and general contractor in tracking expenditures throughout the project. Simons Architecture also prepares a construction schedule based on the contract for construction to assist the owner and general contractor in tracking the construction timeline. Simons Architecture can prepare and field-verify a Monthly Request for Payment for the owner and/or the owner’s lending institution. Simons visits the construction site to ensure that the building meets the goals set by the client in the construction drawings.